I come from a travelling family and we were always moving about. So I never went to school as a child, and I never learned to read or write at all. When I started my family I stopped travelling, because I wanted my children to be brought up with the chance to read and write, to see that they could do it. Then when they started to come home with homework, it was horrible: I had to tell the school that I couldn’t help them with it, because I couldn’t read or write. Compared to when I was a child, you do get more people today who are sympathetic, but I still felt like a lot of people were looking at me as if it was my fault and that I should be able to do something about it: it’s not a nice feeling. But I was pleased that my children had the opportunities I hadn’t; that they could get the skills to get a job. I was so proud when one of my sons went to college and qualified as a farrier: it was such an achievement for a travelling lad! And they can help their children with their school work. I wanted to be able to read and write, but for a long time I never got round to doing anything about it for myself. I used to just get by, to pretend. I’d bluff my way through everyday situations — if I was in a shop and I found I had to read something I’d say stuff like I’d forgotten my glasses and ask could they read it to me — you get good at covering up. Today, there is a form to fill in for everything you do — I’d have to get my daughter to help me with stuff that I needed to read and write. It affects every part of your life. For example, the other day I was in the supermarket and I’d accidentally unloaded my shopping in an aisle that was for hand baskets only. One woman was really nasty about it, even when I explained that I hadn’t been able to read the sign, and everyone was looking at us. You feel stupid when you can’t read and write like everyone else but you just try to blank it out. I tried once to start to learn, when my boys were little, but the classes were too big for me. And then as you get older, it can get harder and harder to do something about it. 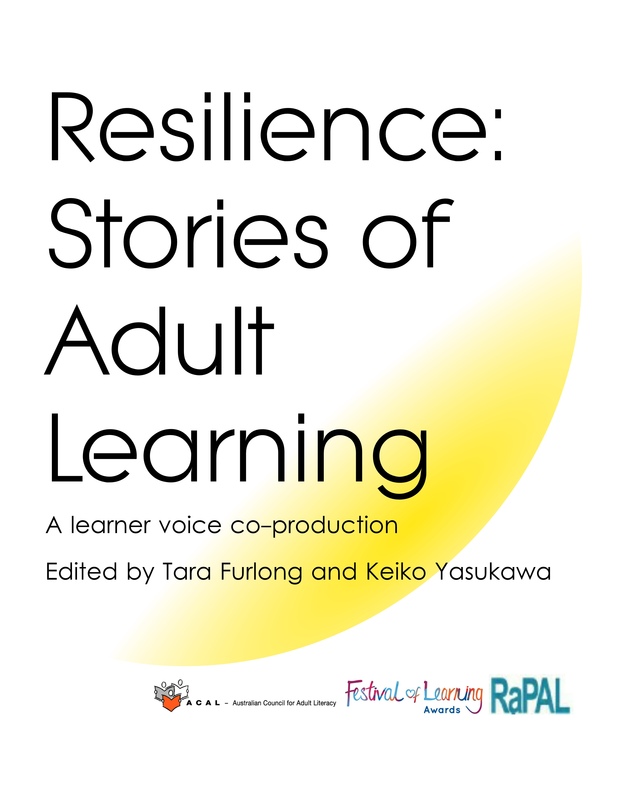 But just over a year ago, at my son’s school, I met a woman who said she had been going to adult education classes to get help with her reading and writing. I thought “why not try?” and I found myself phoning up to find out more. I’ve been going for over a year now now and I really do like it. At first I was shy, and I felt very nervous – I remember going up in the lift to my first class and being scared that everyone would be so much better than me. But the classes are a nice size and the two tutors are understanding. You can talk to them about anything, and they know that with me they are starting from the basics, but they have time for you. I said to myself “I’m going to stick at this”, and I’m glad I have, because I like it. My little granddaughter had been begging me to read to her: she was always pushing books at me. My tutor suggested I brought in one of her story books, and we practised until I felt confident enough to read the story to her. Then I did the Reading Agency’s ‘Six Book Challenge’ through class. I’d never been in a library before but I liked going with the class, and they told us that reading books to children, or recipes, or poetry and so on could all count towards the six things we needed to read. I took out six books — children’s books like ‘Mog the Cat’ and ‘Fox’s Socks’. I really liked reading them so I then took out six more. We’d also talk in class about what we’d read. I enjoyed that. I remember so often when I’d be collecting my children or grandchildren from school the other mums would be talking about what they’d read and I wouldn’t be able to join in the conversation. The best thing has been being able to make my granddaughter happy when I read her a story, but it has also been really exciting, finding that I recognise the words on the page and that I know what they mean. Even words like ‘the’ or ‘dog’: it feels incredible, and to me it’s a really big thing, so I’m definitely going to keep going. I’m taking things one step at a time, but I’ve always wanted to get a Catherine Cookson book and be able to read it: I’ve always listened to everyone saying how good her books are so I’d like to see if I can read one. And at some point I’d also love to learn how to use a computer. My son has got an i-pad and he gets so much out of it — he can even get music that was played when I was a teenager and listen to it — I think it could open up a whole world of possibilities. I feel like a new, more confident person now. I’m proud of myself for going to classes and sticking at them. And when I finished the Six Book Challenge and got my certificate, well can you imagine how I felt? I’d never been to school or got any qualifications, so it felt really good! If you are feeling embarrassed or worried about your reading and writing, there are places where you can go and ask for help. You’ve just got to find that first little bit of courage to take the first step. Everything changes when we read. 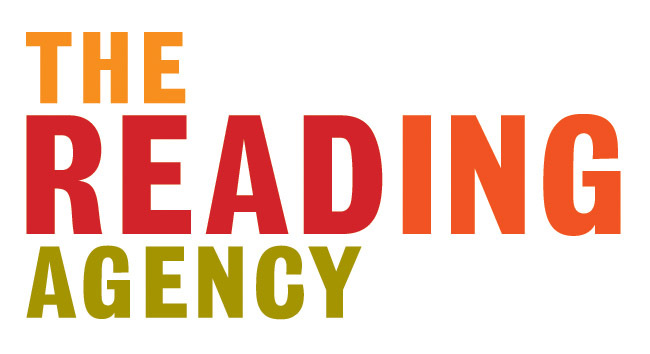 This is the belief that underpins the activity of The Reading Agency, a national charity that has a vision for a world where everyone is a confident and enthusiastic reader. Working with all ages and abilities, it creates and delivers innovative reading opportunities which inspire more people to read more; encourages them to share their enjoyment of reading with others and celebrate the difference that reading makes to all our lives. Among these are Reading Ahead (formerly the Six Book Challenge), the Quick Reads publishing initiative and World Book Night, all of which involve public libraries, colleges, adult community learning, prisons and workplaces in reaching out to people for whom reading is a struggle or who don’t see themselves as readers. The discovery that reading can be a pleasure is transformational for many, opening doors to new worlds or simply changing everyday life.